Microsoft has stopped developing its gif animation program, yet it still works, and it is better that many modern you will find around. Although not a flashy thing, Microsoft Gif Animator is a solid and reliable little utility that will help you do your job. Load your images by dragging and dropping them on its window; it will let you change their order as you wish, define custom times for each image separately, customize dither method and color palette, define transparent color and preview your animation before you save it. You can use any .GIF file, or any image you can copy to the Clipboard as part of an animation. You can create or modify an animation then save it for use in your web browser or other applications. You can add as many images to an animation as your computer memory allows. The Animation tab of GIF Animator provides control of the size, duration, and transparency attributes of an animation. Image Count displays the number of frames in the current animation. More images with smaller movements provide smoother motion, but create larger files and longer download times. Repeat Count allows you to specify the number of times you want your animation to repeat. Trailing Comment allows you to attach a comment to the animation. Microsoft GIF Animator conforms to the Gif89a file format specification. 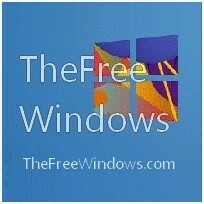 This release by TheFreeWindows is portable – no need to install, just unpack and run. To view the help file included in Microsoft Gif Animator on Windows 7 you need support for the older Windows Help (WinHlp32).